Han van Meegeren achieved such fame as a forger that, after he died, people attempted to forge more of his forgeries. And science is still uncovering some of his work. Han van Meegeren was a Dutch man who loved Dutch art. Unfortunately he loved it a few centuries too late. Van Meegeren was a devotee of the Old Dutch Masters, and so he learned to paint very well in a style that, by the early 1900s, no one cared for anymore. His works were, critics said, unoriginal. But while deriding van Meegeren's work, they continued to praise the older paintings, raving about how they were timeless masterpieces. This made Van Meegeren understandably bitter. He decided that if the critics wanted old paintings, they'd get old paintings. Thus began one of the most lucrative art forging careers of all time. The man was a talented artist, and could paint nearly any style, but his most celebrated paintings were forgeries of Vermeer. They sold for the modern equivalent of millions of dollars. Van Meegeren may never have been caught if he hadn't confessed. 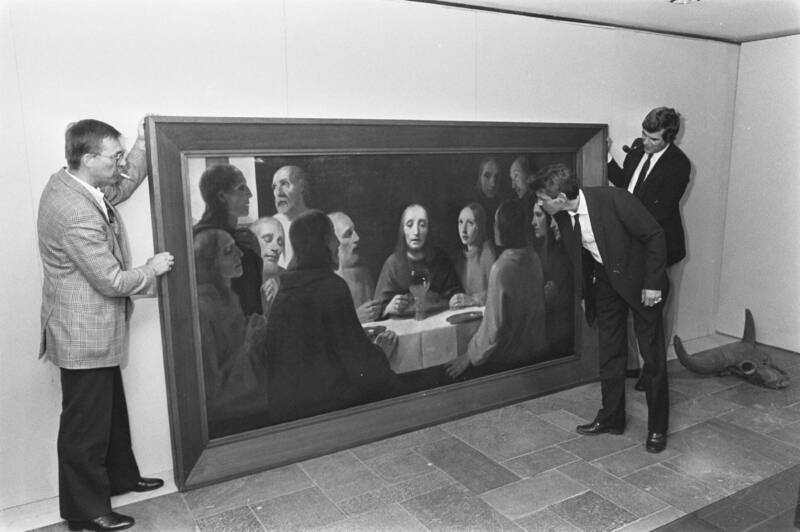 The Nazis rolled through Holland, and one of Van Meegeren's "Vermeer" paintings ended up being sold to Hermann Göring. In the eyes of the world, Van Meegeren was a collaborator, selling the cultural heritage of his nation to its enemy. Van Meegeren confessed to forging the painting, and many others. He was sentenced to a year in jail for fraud, but died before he could serve his sentence. Van Meegeren wasn't eager to serve any more time than he already was in for, so he didn't volunteer the full list of his works. During his life he kept his nose to the grindstone, though, so after his death, scientists have discovered quite a few of his works by analyzing supposedly old paintings. One type of analysis shows how very dedicated Van Meegeren was as a forger. The white paint in both modern and older paintings is pigmented with white lead. White lead is a compound that includes, naturally, lead. Lead ores taken from period-appropriate sources contain specific amounts of radium-226, which decays over time into lead-210. The lead also contains precise ratios of carbon-12 and carbon-13. Scientists can analyze the proportion of isotopes of lead, carbon-12, and carbon-13, to determine whether the lead paint in a dubious piece has been mined in the right place at the right time. When analyzed this way, Van Meegeren's pieces often checked out. He was using historically accurate sources of lead for his paintings. What he couldn't get hold of was the right kind of carbon. Old lead paints were made using old plant sources which gave off old carbon dioxide. These sources included every archaeologist's best friend, carbon-14. 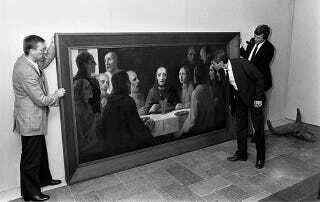 This can allow scientists to date paintings with precision. Modern white lead uses fossil fuels, and carbon-14 is mostly absent. Carbon-14 dating is what allowed scientists, years after Van Meegeren passed away, to declare supposedly old paintings new Van Meegerens. These days, Van Meegerens have a caché of their own. That is, if they're true Van Meegerens. Other painters (including Van Meegeren's son, can make a pretty penny forging his forgeries.